Each and every variety of conspiracy just set forth is a indictable felony offense which carries severe penalties and collateral consequences. You certainly cannot risk facing a charge as serious as this without representation by a competent attorney. Our staff has what you require and is highly familiar with the court system. In fact, Matthew Dorry was the prosecutor in approximately 15 local municipalities including Barnegat, Beach Haven, Brick, Forked River, Long Beach, Little Egg Harbor, Stafford, Surf City, Waretown, Ship Bottom, Toms River, Plumsted, Manahawkin and Jackson. Matt or another highly knowledgeable lawyer is available to give you a free consultation 24 hours a day by calling (732) 286-6500. Possessed an intent to conspire. Agreement Between Two or More. The first element that must be proven by the prosecutor is the existence of an agreement between two or more individuals. What is contemplated here is an agreement to aid in the planning, attempt, solicitation or commission of a criminal offense. Illegal Purpose. Element two requires that the agreement be for the purpose of facilitating some form of activity that is illegal. The objective must be unlawful in order for this requirement to be met. Overt Act. The third element of conspiracy is the commission of some form of "overt" act. The accused must take an affirmative step to facilitate the crime. The only exception is where the objective of the conspiracy is to commit a first or second degree crime involving distribution or possession of a controlled dangerous substance ("cds"). Scope of Conspiracy. Liability under N.J.S.A. 2C:5-2 extends to all criminal acts committed by co-conspirators that are reasonably foreseeable as the necessary or natural consequences of the conspiracy. Abandonment & Renunciation. A conspirator has the ability to renounce a conspiracy. However, sustaining this defense requires evidence that the accused informed authorities of the existence of the conspiracy, the nature of his/her involvement and notice was provided in time to thwarted the crime. A defendant also has the ability to abandon a conspiracy. A conspiracy is only abandoned if the defendant advises the individuals with whom he conspired that he will no longer participate or advises law enforcement authorities of the conspiracy. If you have been charged or arrested for conspiracy, you definitely facing a felony since there is no misdemeanor version of this offense in New Jersey. It also follows that you are subject to a state prison term and thousands of dollars in fines. A qualified criminal attorney is an excellent tool to insure that you are equipped to avoid these consequences. 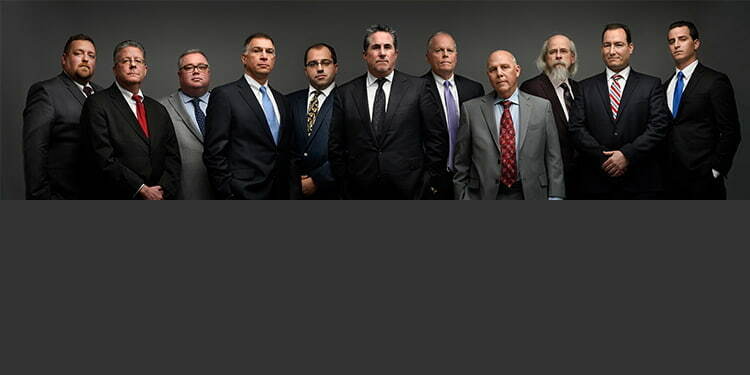 The defense lawyers that make up our eight member team have decades of experience handling conspiracy to commit robbery, conspiracy to possess drugs, conspiracy to distribute cds and other forms of this offense. We represent clients accused of conspiracy throughout Ocean County, including Barnegat Light, Jackson, Bayville, Seaside Heights, Lakewood, Pine Beach, Lacey, Lakehurst, Seaside Park, Manchester, Point Pleasant, and Eagleswood. If you have any further questions, call our Toms River office at (732) 286-6500 for a free consultation with a lawyer.